The brown hare is not native to Britain but was introduced before the Roman invasion. It has become characteristic of traditional mixed farming landscapes. It is mainly nocturnal. Partly for this reason, an element of mystery surrounds it and the hare has always featured strongly in myth and literature. A marked decline in numbers has certainly occurred throughout the county but the upland pasture fringe of the Forest of Bowland seems to be an important habitat for them. Intensification of farming has resulted in decreased crop diversity, larger fields and the loss of woodlands and hedgerows, all of which have had negative impacts on hare populations. Crop diversity is important to hares because their nutritional requirements vary according to the season and so they move between crop types. Hedgerows are important daytime lying up sites, particularly for leverets (baby hares). Perhaps you will see hares standing on their back legs and looking just like a pair of boxers trying to knock each other out.This occurs when females fight off or test the strength of potential male suitors. 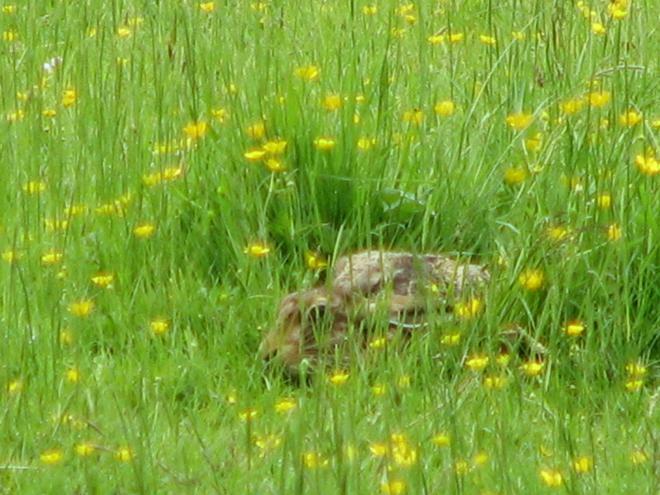 Another interesting behaviour is that female hares visit their young just once a day. This is to minimise the chance of their location being spotted by predators.